The day-going, spring-driven movement of this miniature travelling clock has going, striking and alarm trains. The going train has a vertical verge escapement with balance, hairspring and regulation. 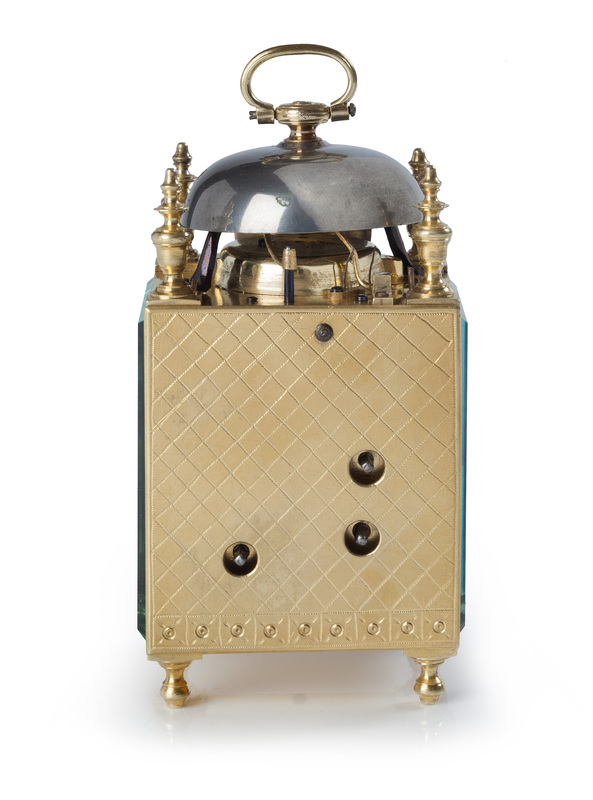 The striking indicates the hours fully and the half-hours with a single stroke on a bell. It is controlled by a rack-and-snail system. The movement is wound from the back. 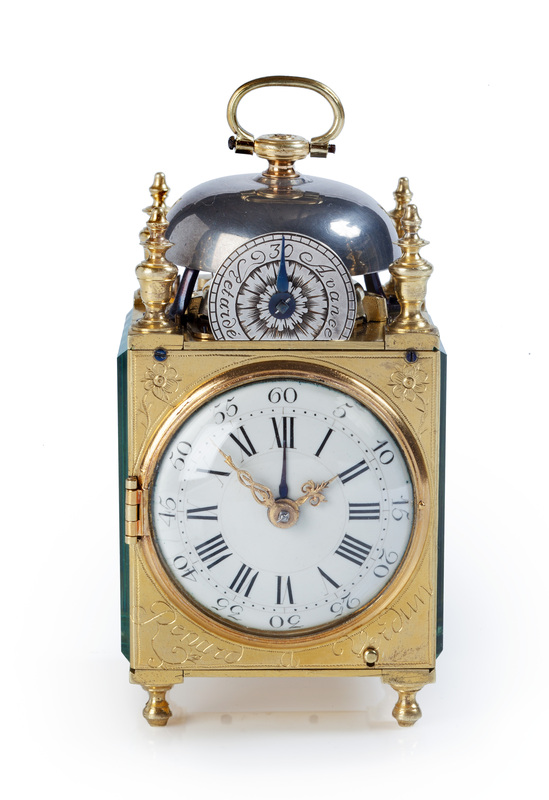 The circular white enamelled dial has a Roman chapter ring with Arabic five-minute and minute divisions. 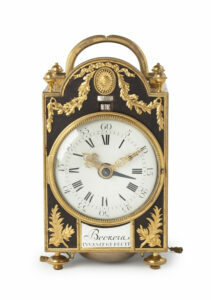 The time is indicated by a pair of pierced and chased brass hands. The blued-steel alarm hand indicates the alarm time on the chapter ring. 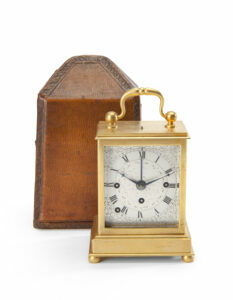 The front of the firegilt-brass case of this travelling clock is engraved depicting floral motifs in the corners, whilst the maker has signed the clock in the bottom corners: Renard à Verdun. The dial is protected by a convex glass set in a gilt-brass bezel. Above the dial is a silvered dial Retarde/Avance with a blued-steel hand to regulate the going train. 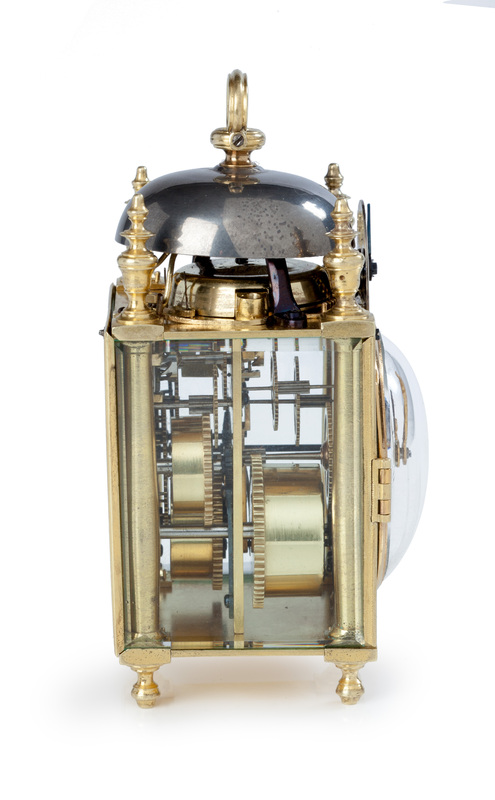 The sides are completely covered by facetted glass, so that the movement can be seen almost entirely. The back cover has three asymmetrical situated winding holes for the three trains. The top of the clock is surmounted by the bell with an oval-ring shaped carrying handle and four turned finials on the corners. 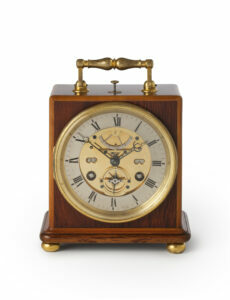 The clock rests on four shaped feet. Tardy, Dictionnaire des Horlogers Français, Paris, 1971, p. 549. 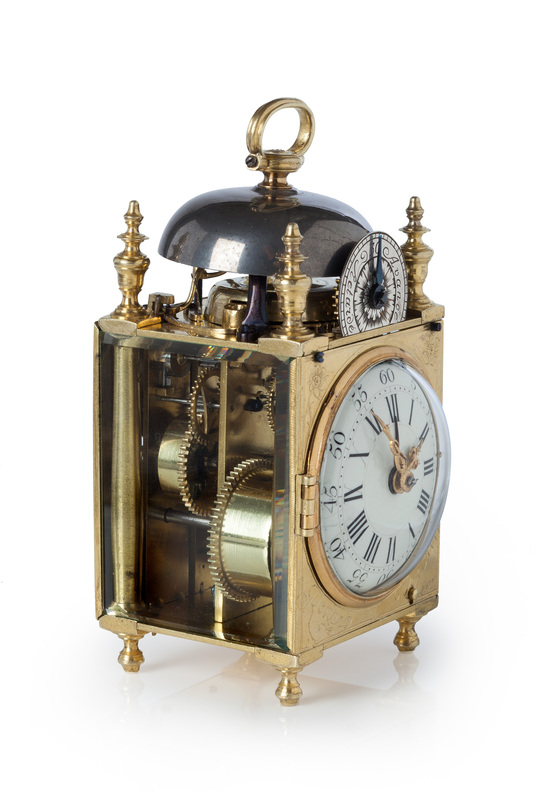 Renard was active as a clockmaker in Verdun in the latter part of the 18th century.